Nothing has happened so far this weekend, though I stated from the start that if the police were going to move in, the most likely time would be 4am on Monday morning. 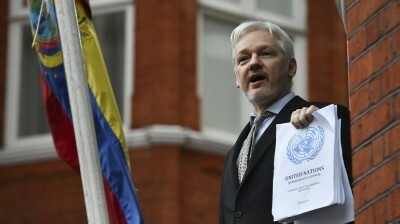 There is a thought that the massive media presence occasioned by Wikileaks’ announcement may have succeeded in deterring President Moreno from the expulsion. Let us hope that will prove the case.